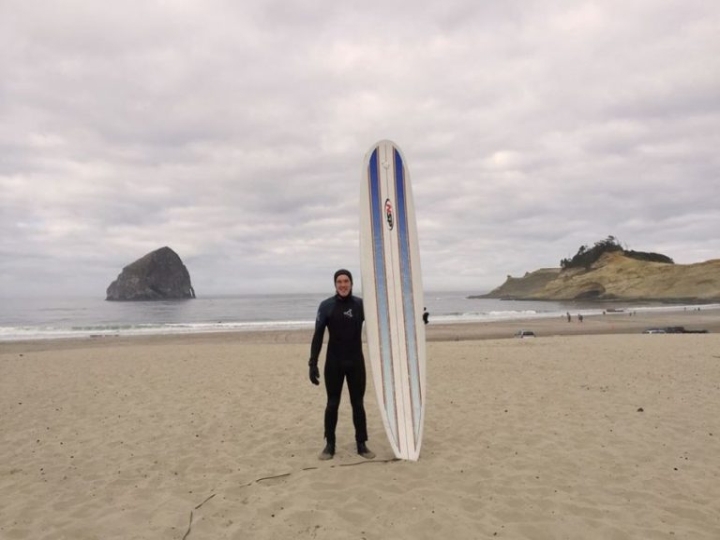 We’ve been offering Surfing Lessons in Lincoln City Oregon and the surrounding area beaches since we first opened back in 1989. 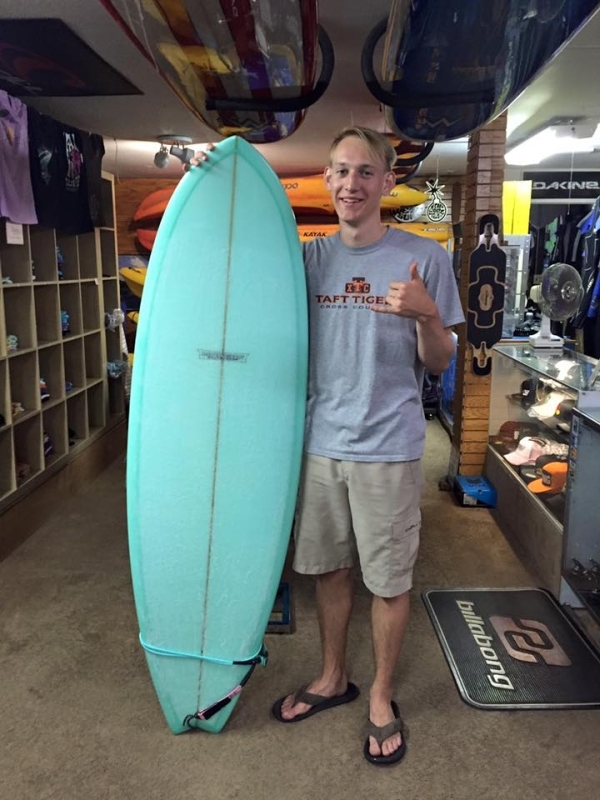 Let Safari Town Surf Shop help make your next surfing experience a great one! Check out our customer reviews and great prices. We have experienced surfing instructors who work with beginners, first timers, and intermediate surfers that want to learn, or progress to the next level. Call us today to reserve your spot. 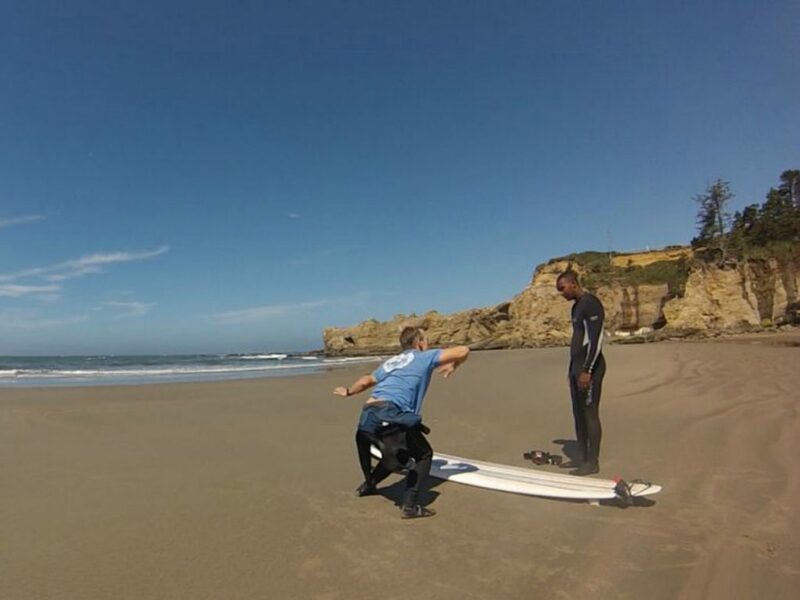 We offer standard surfing lessons, or private one on one instruction. 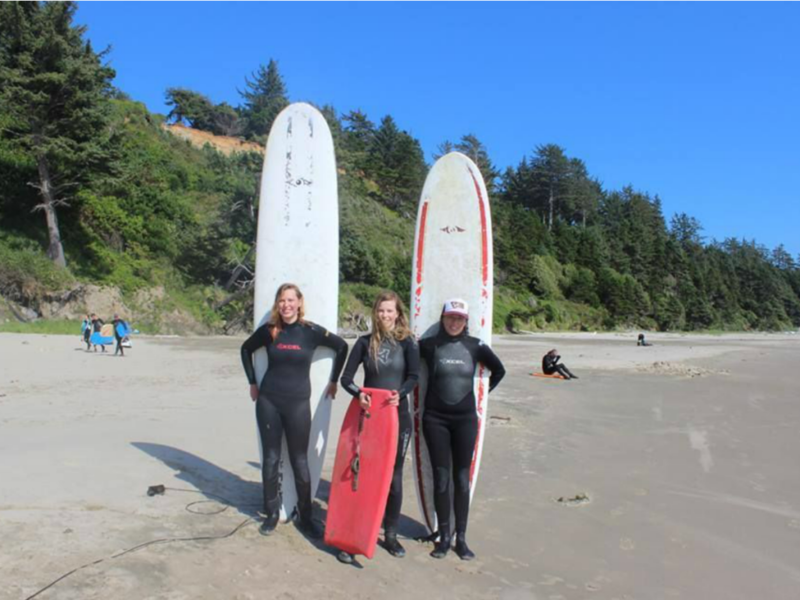 Oregon Coast Surfing Lessons are available April – October and are subject to availability, and surfing conditions. Larger groups are also welcome by appointment. Feel free to call the shop for more information. Standard Surf Lesson Package. Includes Surfboard and Wetsuit Rentals $99.00 BOOK NOW! Private Surfing Lesson Package. Includes Surfboard and Wetsuit Rentals $119.00 BOOK NOW! Kevin started exploring the ocean not long after he could walk. 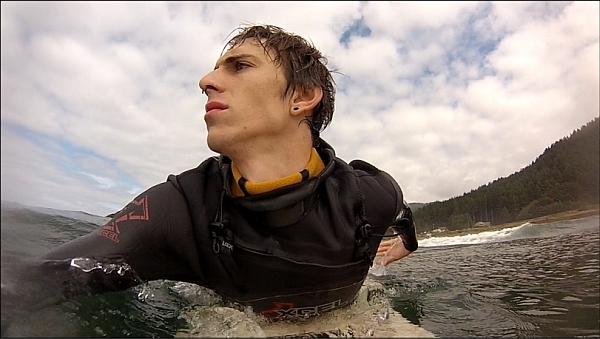 Growing up on the Oregon Coast, Kevin spent a lot of time at the beach and working at the surf shop. After dominating the local contest circuit as a kid, Kevin has grown away from competitive surfing, and now enjoys catching waves without the contest hype. He has a thorough knowledge of the ocean, and communicates well with others. 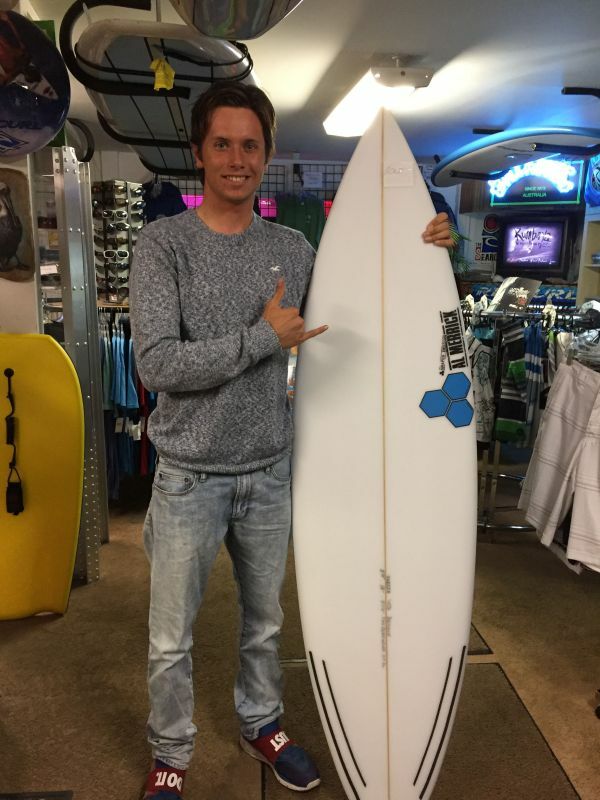 Kevin can help you if you are a first timer, or if you want to take your surfing to the next level. He has also worked as a lifeguard for the City of Lincoln City. He is also trained and certified with the American Red Cross in First Aid/CPR/AED to help insure your safety. 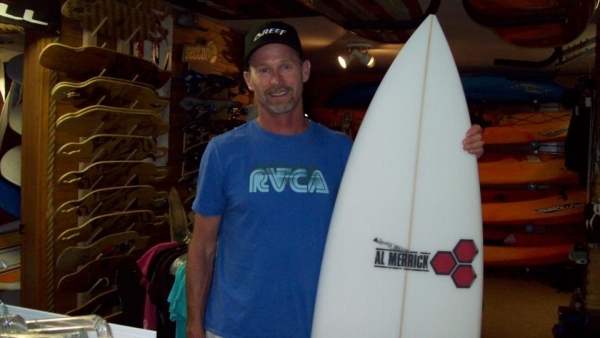 Dayl has over 30 years of surfing experience on the Central Oregon Coast as well as in San Diego, California. 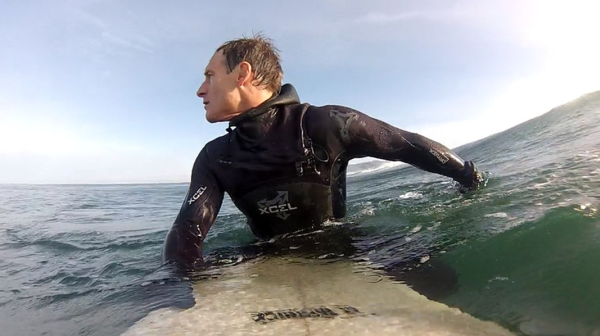 He is an experieiced surf instructor and has been one of our instructors for nearly 20 years. He is also a local school teacher at Newport Middle School which helps him communicate well with people and students. We gets lots of compliments on what a great job Dayl does giving surf lessons and we are thankful to have him as one of our surf instructors. 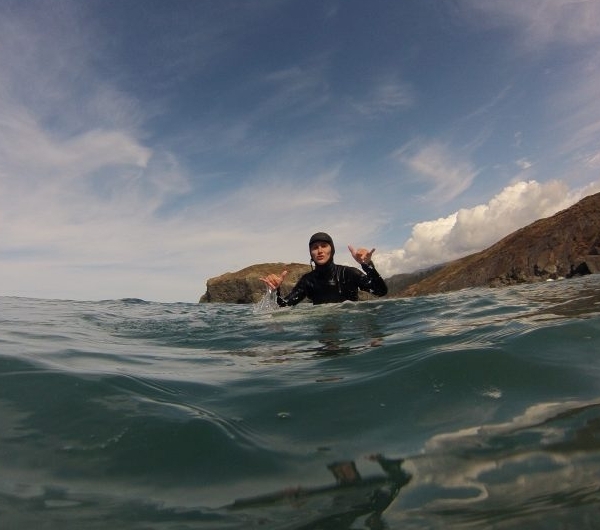 He has also recently successfully completed an extensive surf instructor accreditation course through NSSIA. Deklyn started surfing when he was 7 years old and has been stoked on the ocean ever since. With a bachelor’s degree in aquatic biology, his knowledge of the ocean extends both as a surfer and a marine scientist. He has also taken his surfing and passion for the ocean around the world, and in 2016 was named Australia’s Southwest Boardriders Club Champion. He loves sharing his passion with others and is always encouraging and helpful in the water. Deklyn also recently completed an extensive surf instructor accreditation course through NSSIA and has successfully completed a wilderness first aid course. Chase has lived at the Oregon Coast his whole life. Around 4 years ago Chase learned to surf at a beach day event Safari Town Surf shop sponsored. After one lesson he was stoked. Once he bought his first board and got a hand-me-down wetsuit he surfed all that he could. After surfing for a while he began to paddle out with Dayl and Deklyn Wood who helped him progress and learn quickly. A few years down the road Chase now has 5 surfboards and surfs any chance he can. He currently is studying at Oregon State University with an Environmental Science Degree specializing in Aquatic Biology. Chase thinks that being a surf instructor is an incredible way to get to share the ocean and excitement of surfing with everyone. He hopes that everyone gets a chance to ride a wave in their lifetime. Previously working as a lifeguard and spending lots of time in the water makes him very comfortable in the surf. Chase is also trained and certified with the American Red Cross in First Aid/CPR/AED to help insure your safety. We require 72 hours cancellation notice. Cancellations after the 72 hour limit, or no shows will be charged the full price. Cancellations by Safari Town for high surf advisories, extreme weather, and/or unsafe surf conditions will not be charged a cancellation fee. In such cases we will refund or reschedule your lesson. We want your first surfing experience to be a safe one. We don’t offer lessons, or surfing rentals when the conditions are too hazardous.